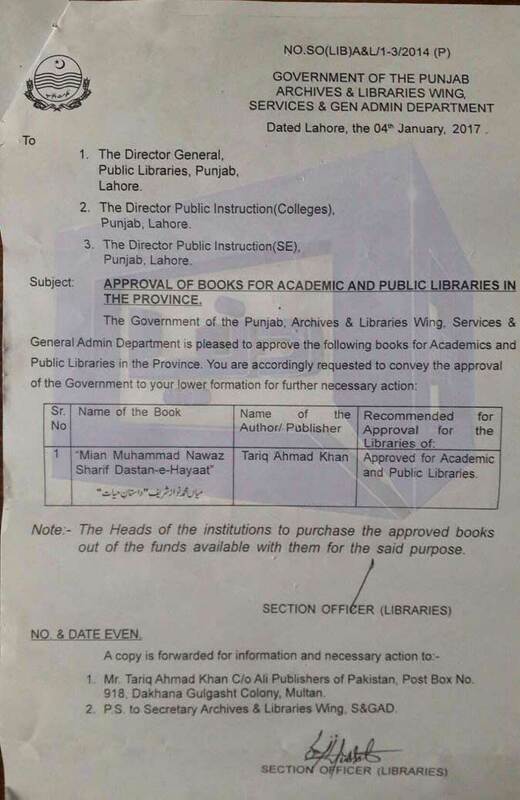 LAHORE: – Government has on Wednesday issued a notification to keep the book written on Prime Minister (PM) Nawaz Sharif’s life in all the public libraries, reported Dunya News. Government has decided to keep the book in all the libraries. A letter has been written to Public Libraries Director General in this regard. The book has been authored by Tariq Ahmad Khan.